The Science Council has set itself the strategic ambition of working towards a science workforce that reflects the diversity of society. It is undertaking a programme of work aimed at raising awareness of the importance of diversity as an issue of concern for professional bodies while providing leadership within the sector to increase commitment and investment. The long-term aim is for a demonstrable commitment to diversity, equality and inclusion to be a requirement for professional bodies who wish to be members of the Science Council. There are compelling arguments and evidence for supporting increased equality and diversity in the science workforce. In addition to the moral, ethical and legal reasons for addressing diversity, equality and inclusion, professional bodies will wish to consider the ways in which action can bring benefit to their own organisations and help them better serve society. 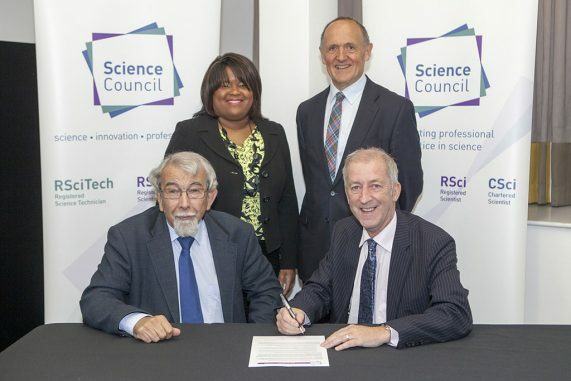 At the heart of the Science Council’s project is the Declaration on Diversity, Equality and Inclusion, which was signed by the IST’s Chairman on 8th October 2014. The Declaration sets out the high level vision that the IST, the Science Council and its member professional bodies will work towards. What is the IST doing to promote Diversity, Equality and Inclusion? An elected member of the IST’s Executive, Kevin Oxley, has been appointed as the IST’s Diversity Champion and is in the process of assembling a DEI Team of volunteers to assist with the work needed to ensure that the IST operates in line with the principles of diversity, equality and inclusion and to measure progress.